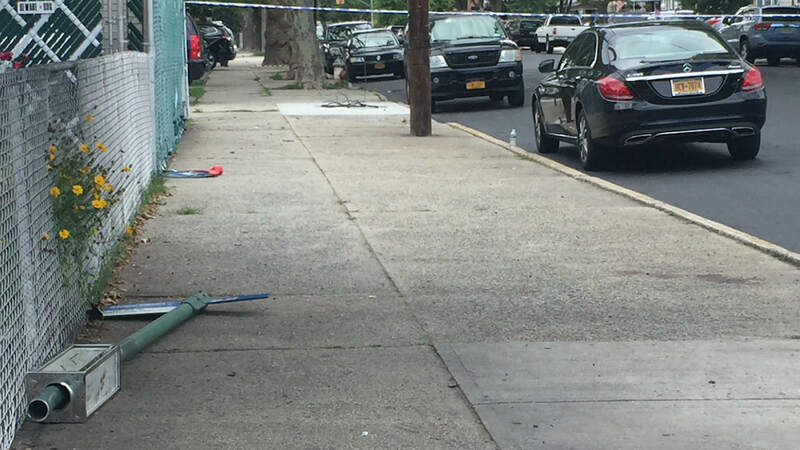 MARINE PARK, Brooklyn (WABC) -- A young woman was hit by a bus stop pole when a car jumped the curb in Brooklyn Friday afternoon. 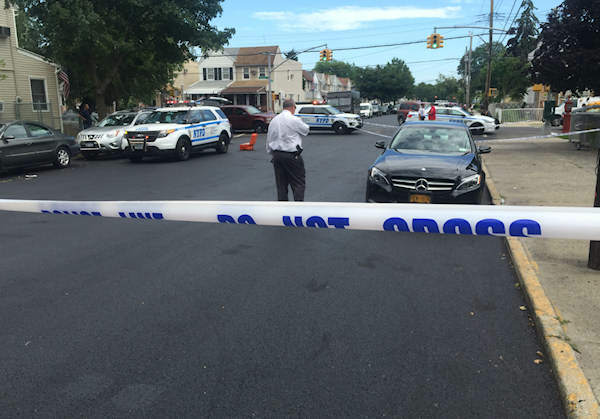 It happened at E. 36th Street and Fillmore Avenue in the Marine Park section around 2:14 p.m.
Police say a black Mercedes was driving westbound on Fillmore Avenue when it was cut off by another vehicle. The driver of Mercedes tried to avoid hitting the vehicle, but then jumped the curb and hit a bus stop pole for B-100. The pole hit a pedestrian, and it's not yet clear if she was waiting for bus or walking by. The 22-year-old woman is in critical condition at Kings County Hospital. The driver of Black Mercedes stayed at the scene.